These shorter stationary compactors are required when a jobsite has limited space and high volumes of waste or recyclable material. Overall convenience and bottom-line savings will occur when a roll-off compaction container is utilized. These stationary compactors can be easily installed with security chutes, total enclosures, drive-on decks, and side load hoppers, just like our larger compactors. 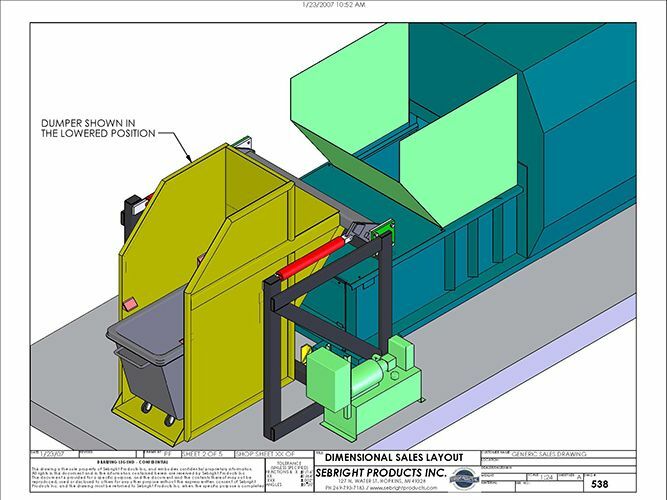 Like all Sebright compactors, these machines will feature premium components, and a proven design, with the performance and long-life expectancy that is the trademark of all Sebright equipment. Commercial waste, packaging, cardboard, office trash, etc.